Horse lovers here is your ideal set up! Nice brick ranch on 10 acres w/beautiful mature landscaping, 60x30 heated shop, 24x30 hay barn, 4 stall barn w/tack room, 330x150 ft arena, square tubing corral fencing & lush pastures. 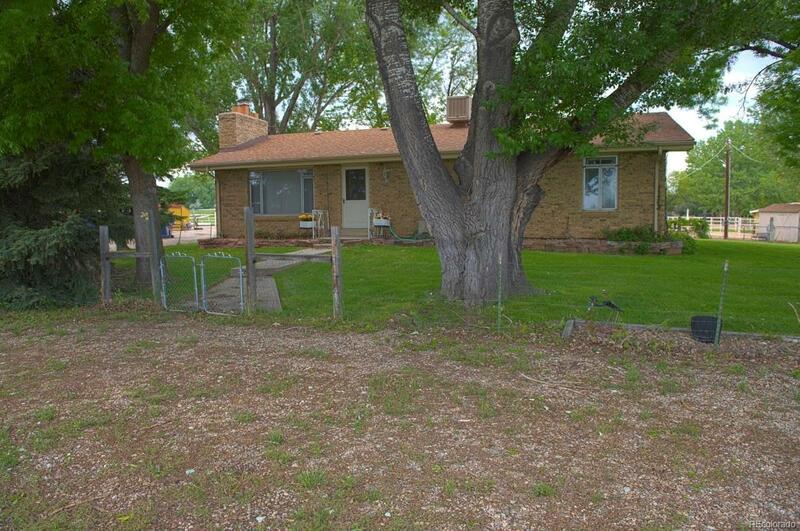 House has had lots of TLC, open floor plan, kitchen island, large bathroom w/powder room & jetted tub and heated porch. Full finished basement with wood burning fireplace, new bathroom, large laundry and extra storage. This property has lots to offer and many possibilities! Offered by Paragon Realty Services Llc.